It's game time — the interview is here. You prepped well. You aced the handshake. anticipated the questions they asked and wowed them with your smooth, competent demeanor and relevant work anecdotes. Or maybe it wasn’t your best interview (it happens) and you need a way to salvage the whole thing. Either way, as the interview is wrapping up, it’s time to close strong. This is your chance to leave a valuable impression on your way out. 1. "How would you describe the culture here in the office?’* This question shows that you’re already thinking about how you can fit in and add value to this company. It also gives you an unofficial glimpse into what the company is like — information that you can’t necessarily get from online research. The interviewer is unlikely to tell you the "warts and all" version, but it’s a good way to get an initial feel for whether the job will truly be a good fit for you. 2. "What’s been your favorite part about working for this company?" This engages the interviewer’s personal side, letting them give an opinion that isn’t necessarily based on the c! ompany motto or the job description. The answer can be even m! ore revealing about the day-to-day life at the company than asking, "What’s the dayto-day like here?" For example, at one interview I asked this question and was pleasantly surprised to find out that once a month the company throws a pizza party for employees and holds regular events like employee bake-offs and craft fairs. That told me that the company valued employee morale, and was a deciding factor when I accepted the job. If the interviewer seems stumped by this question and has to think a while before answering, that may be a red flag, which is also good information to have. 3. "What experience best prepared you for working here?" Again, this engages with th! e interviewer and gets him or her respond candidly without being too intrusive or personal. It also tells you about the kinds of skills that will serve you best in this role, regardless of what’s in the job description. For example, if the interviewer tells you that working for a chaotic small company prepared her for the "all hands on deck' attitude of this place, it tells you that teamwork is prized here. You can respond by saying something like, "I thrive in that kind of atmosphere too. 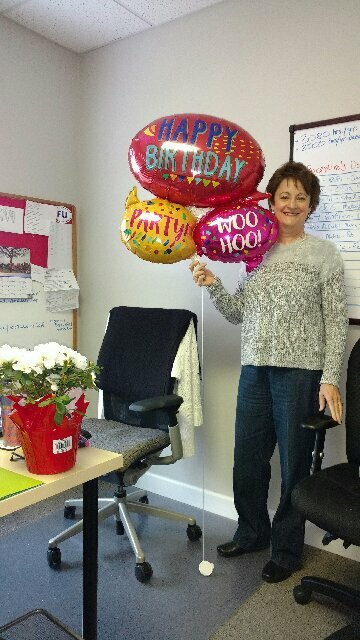 Working at a small mom-and-pop store taught me how valuable it is for everyone to pitch in to get the job done." 4. "How would you describe the leadership style here?" Up to this point, it’s likely that the interview was focused on the job itself and your qualifications. This question opens it up a bit and tells you more about t! he expectations of the company for this job — whether it’s a hands! -on management kind of company (or potentially micromanaging), or a leadership style that relies on employees being more independent. It also tells the interviewer that you’re thinking about creating a productive, in-tune relationship with your potential manager. As with all interview questions, it’s important to read the flow of the interview. If you’ve covered any of these topics earlier, no need to rehash them at the end — it could look like you weren’t paying attention. But making sure you have a potential list of thoughtful, engaged questions ready to go will help you finish the interview in a polished, professional way. Kate Lopaze is a career advice journalist for TheJobNetwork.com, where this article was originally publishe! d. She investigates and writes about current strategies, tips and trending topics related to all stages of one's career. Effective Networking Skills Key in Today's Job Market! Last week UWIT presented, “Effectively Strengthen Your Personal Networking Skills”, on Thursday, Nov. 9th in a Lunch & Learn setting. Examine your network strategically to determine if, where and how you may want to take proactive action to modify your network. Speaker is Elizabeth A. Kunze, an Executive Coach and Corporate Trainer with more than 15 years’ of leadership development experience working with clients ranging from hourly employees and plant managers to senior leaders and CXOs. In her role as Executive Coach and Corporate Trainer, she has facilitated many seminars and workshops on Executive Presence, Networking, Entrepreneurship and Career Navigation. Her Leadership Development practice entails working closely with leaders and organizations competing on a global scale in manufacturing, research, engineering, and technology. Prior to her current role, she spent more than 20 years in strategic marketing and business intelligence across a wide range of industries and organizations, mostly technical or engineering based. Elizabeth combines broad-based analytical and strategic thinking skill with extensive cross-cultural experience – including working with expatriate leaders on global and domestic assignments – as part of her Leadership Development practice. UWIT is held monthly at City Range on Haywood Road. Networking starts at 11:30 and lunch is served at 12:00. Please register online for future gatherings at www.uwitsc.com. Walks-ins welcomed with cash or check payment of $20. Contact Jill Rose at 864-908-0105 or uwitsc@outlook.com for more information. Without a doubt, the "What is your desired salary?" question is one of the hardest to answer — either on a job application or in an interview situation. An online application doesn’t usually offer a box to tick for "I’d be willing to negotiate, within reason." Don’t just make something up. If you’re faced with a dropdown application box, remember that you have two tools available to you. First, do your research. Find out what the industry standard would be for that role in that geographical area, and ask for that (or a little higher or lower depending on your particular skills and experience). This is vital for not being weeded out based on asking for far too little or far too much. Most companies have hiring policies that dictate they will pay new hires the midpoint of the stated salary range they are prepared to offer. Negotiation technique would suggest you ask for just a bit higher than the midpoint, in order not to be offered less than policy would get you. Use your application to explain your reasoning. A good use of your cover letter is to justify the number you selected. This is where you can add in that important sentence about being open to negotiation. Or explain, with numbers, why you feel a percentage increase from your former salary is called for — based on performance appraisals, market trends, new skills or experience, etc. How to figure out and verbalize what you want. There are different ways to go about this. You can ask for a flat salary number per year, which is usually negotiated and standard across a wide variety of industries and careers. Or, you might be looking for a job where you’re asked to state what you would expect to make per hour. In both cases, it’s important to ask for just a little more than you expect to be offered — usually 10-15 percent above what you really need to make. In the case of hourly pay, make sure you’ve done the calculations to figure out exactly how much you need to make per hour to make ends meet. Most workers can expect to work about 2,000 hours per year. Don’t forget to factor in sick days and vacation time — for which you will often not be compensated in an hourly wage job. Don’t accept a job for less unless you absolutely have to! And don’t forget to ask about overtime and bonus pay, if applicable, so you can factor that into your calculations as well. Sometimes you’ll find yourself in a situation where you don’t particularly care what you make for salary, as this number might be standard or nonnegotiable in your industry, but there are specific benefits you’d like to negotiate towards. If there are any deal breakers for you in the benefits package, make sure to focus on these when asked about your salary requirements. Make sure you know the minimum you need to make. You can always use that as your answer, "I can’t accept this position for anything less than [AMOUNT]." And be prepared to hold to it. (These calculations are important and should be done with care.) If you prefer a softer touch, you can always answer, "I think [AMOUNT] would be a fair salary for this position." Peter Jones is a career advice journalist for TheJobNetwork.com, where this article was originally published. He investigates and writes about current strategies, tips, and trending topics related to all stages of one’s career. Jennie Fowler, a Project Management expert, presented her view of the PMO looking ahead several years at the Upstate Women in Technology learning lunch on September 28th. It was an eye-opening presentation on the IT Project Management Office and its future. Did you know that Gartner predicts by 2020 that 60% of current IT Project Managers will be replaced by other roles outside of IT? • Where is project management headed by 2020? • Why are some current project management practices insufficient? 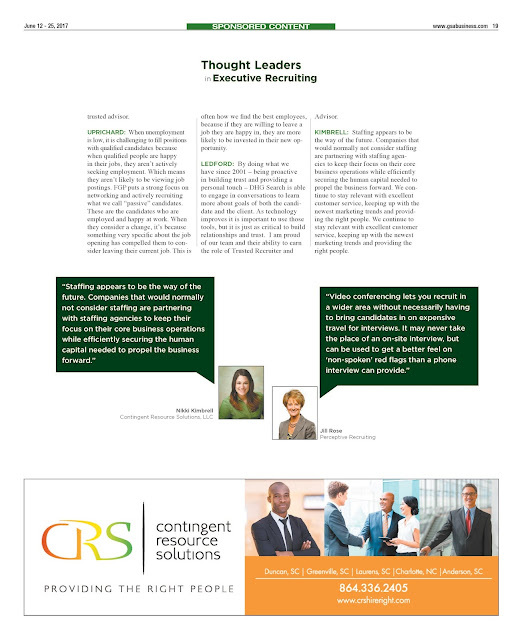 • What new PM skills and capabilities are critical for your future? Please include attribution to ResourcefulManager.com with this graphic. 12 Recruiting Statistics Recruiters Need To Know! 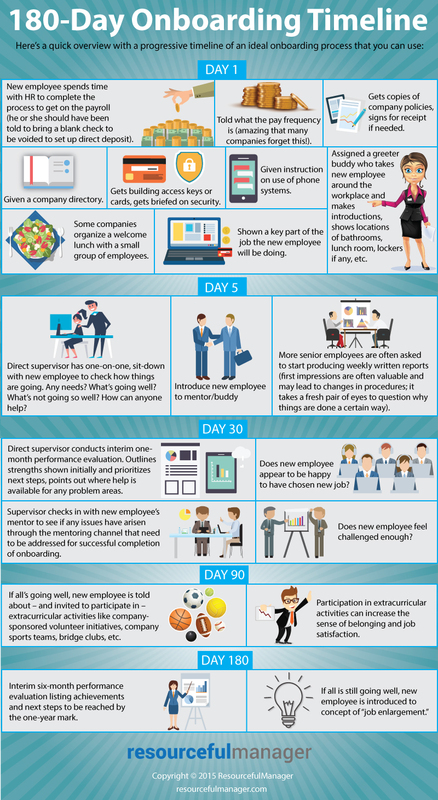 This infographic was crafted with love by Officevibe, the employee engagement survey software to help companies improve morale. So you have followed all the best resume tips and land yourself a job interview. You’re prepared to interview, you’re just not prepared to do it on the phone. Here are nine ways to adapt your interviewing strategy to the phone format, without losing your cool. Sometimes you’ll be notified to schedule. Sometimes the call will come straight out of the blue. If you’re not somewhere where it would be convenient or possible for you to chat, ask the interviewer if it would be possible to fin! d a mutually suitable time. If not, don’t panic: You can do it. Once you’ve applied for a job — any job, make sure you start mentally preparing for the interview in case you find yourself thrown into one just by picking up the phone. Have a copy of the job description and whatever information you’ve gathered about the company at your fingertips before the call begins. While you’re at it, make sure to also have a copy of your resume and your application materials as well. Otherwise, the interviewer will be able to hear that frantic stalling and rustling around. The phone interview is just like any other interview. You should be well versed in your answers to common interview questions, or questions you think will b! e likely to come up for that particular position. The only difference is you’ll have to be charming without your knockout smile and friendly face. Try compensating with more vivid answers. And cut the rambling and verbal fillers like "um," which will stand out more over the phone. Seriously. Not only can people hear the difference when someone is smiling over the phone, smiling will have a massive effect on your demeanor. You’ll sound much more upbeat and confident. Keep a mirror by the phone if you need reminding. If it would be too compli cated to explain something, or you want to be able to provide a visual! , try directing your interviewer to your website, portfolio or LinkedIn page. That way, you can talk them through it during your actual interview, narrating each accomplishment for them. Initial interviews, par ticularly over the phone, are not the time to start making demands or asking very particular questions about personal time off, benefits packages or job duties. Make them want to talk to you again; hopefully that will score you a proper faceto-face interview where you can proceed with your usual interview protocol. Just like in any other conversation, try and match the tone and speed and volume of your interviewer. Ask a friend to assess your telephone voice for you in a! dvance and give you feedback. Don’t let your interviewer off the phone without scheduling another interview. Or the name and contact information of someone you can be in touch with at the company to follow up. Even though it’s a phone interview, the normal rules apply. That means a written thank-you, emailed or handwritten. Don’t be too pushy, but it’s always OK to subtly remind them of your strengths in your thank-you note. Peter Jones is a career advice journalist for TheJobNetwork.com, where this article was originally published. He investigates and writes about current strategies, tips and trending topics related to all stages of one’s career. Whether you are a company seeking an executive or an executive looking for a new work environment, it is important to find the right match. To do that, you can trust your instinct or you can find a professional firm that specializes in making that connection. 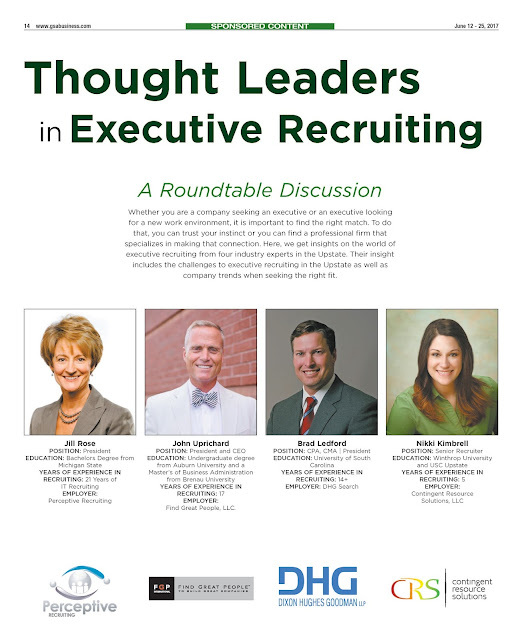 Here, we get insights on the world of executive recruiting from four industry experts in the Upstate. Their insight includes the challenges to executive recruiting in the Upstate as well as company trends when seeking the right fit. Pick up a copy of the June 12th issue of GSA Business Report for the "rest of the story"! If you want to work for a company but can’t find open positions, or have been rejected for a position at your dream company, it doesn’t mean you’re out of luck. You may be the right candidate for the company you’re applying to, but not the best fit for any open positions right now. That means the right fit for you is still out there — and you can get closer to it by joining a talent network. Talent networks are automated platforms where job seekers can enter their information into a company’s database with the goal of being notified of new job opportunities. It’s beneficial for the company because it allows employer! s to create a talent pipeline, and there are many ways job hunters can benefit from talent networks as well. 1. It will give you a chance to understand the company better. Companies today are increasingly leaning toward building and nurturing relationships with job seekers over time versus just looking to fill positions that may be open right now. Subscribing to a talent network opens the door to enabling employers to engage with you — and other candidates who have opted in to a talent network — more so than they would with other job seekers who don’t opt in. It will give you an opportunity to get to know the company, its culture and the expectations that are set for employees. And you can leverage this additional insight when applying for future positions at the company. 2. It will save you time. One pet peeve many job seekers complain about is that they’re forced to re-enter or resubmit the same information over and over again. With a talent network, you won’t need to re-enter your information because it already lives in the database. Also, since you will be alerted to new relevant opportunities that will open up down the road, you won’t have to keep checking back in. 3. 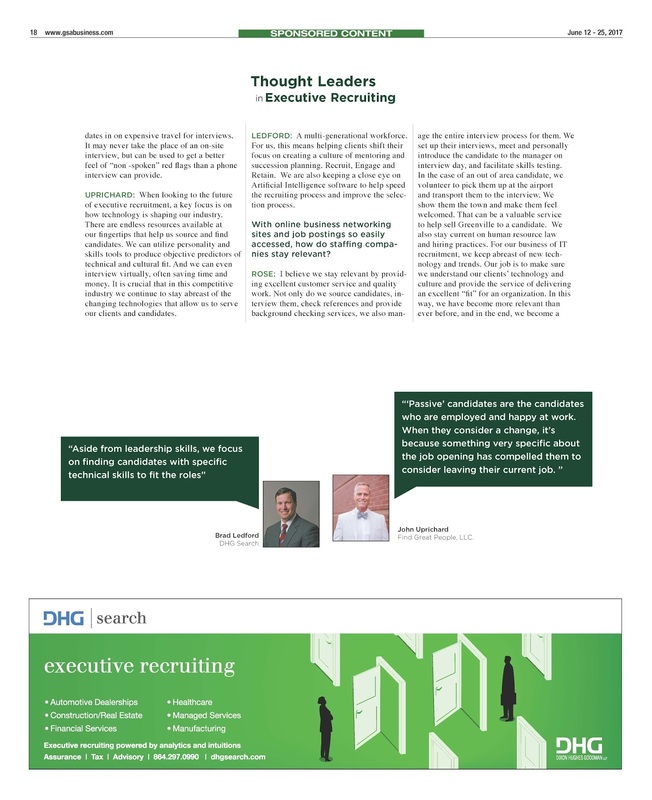 It will keep you top of mind for employers. Even if your dream employer or employers don’t have any job openings at the moment, you don’t need to feel like you have to sit on the sidelines and wait. You can take a proactive step that could get you closer to landing that dream job when i! t becomes available. You’ll have a better chance of remaining on a company’s radar if you’re in their pipeline. 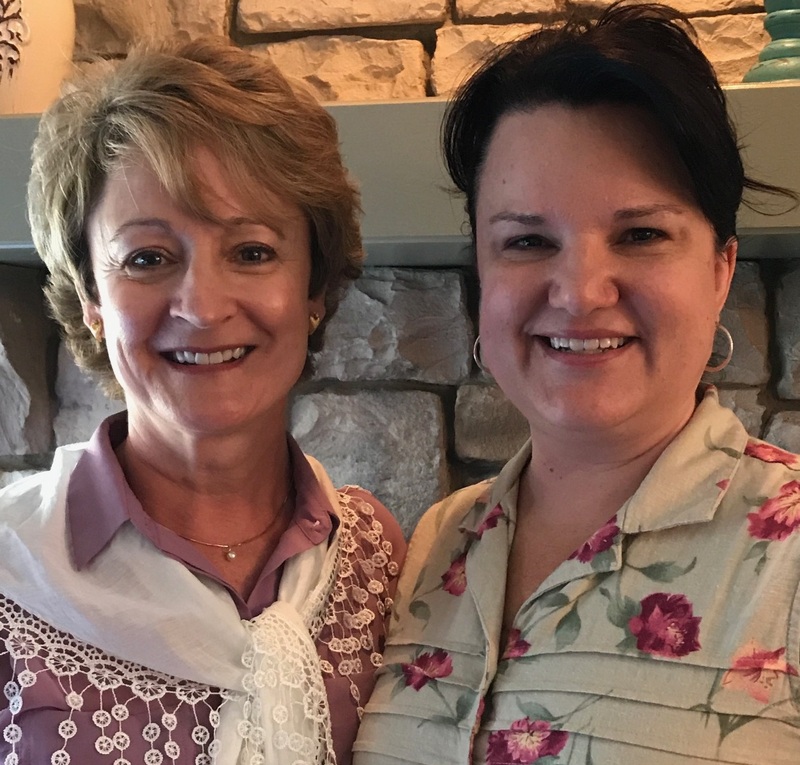 "It can’t hurt if it’s a company you’ve always wanted to work at," says Christy Hopkins, a human resources consultant and writer at Fit Small Business who also maintains an HR consulting and recruiting firm with small business clients. "If there are no open roles we are looking for that fit you, you can still submit your résumé to the general database. This is useful for us in that when a client comes to us for an urgent need — we can search our database and see if anyone fits their criteria by setting parameters around keywords and locations." 4. The talent network can do some of the work for you. We get it — you’re a motivated job seeker and you want to get out there and do the hard work of! finding the right job. But don’t be afraid to get a little help from! your friends — and in this case, a company’s talent network can be your best friend. Some companies will go so far as to send you personalized alerts with jobs that best match your experience and interests. You will be able to make the most of tailored job recommendations and customized messages coming directly from the company itself. Deanna Hartley is a writer for the Advice & Resources section on CareerBuilder.com. She researches and writes about job search strategy, career management, hiring trends and workplace issues. The Good, a small e-commerce firm based in Portland, Ore., has been besieged by an armada of Silicon Valley tech giants including Salesforce.com and Airbnb that have invaded the region in the past year or two and are cherry-picking skilled job candidates. As a result, it’s taking the company — with seven full-time workers and another seven part-timers — about three months to fill openings, up from two months a year ago, company President Jon MacDonald says. "There are lots of people just looking to move to higher-paying employers," he says. At 4.7%, the unemployment rate was near its 10-year low in February, down from 4.9% a year ago, supplying employers a smaller pool of available workers. The tight labor market is making hiring a struggle for most companies, but small businesses face an especially daunting task. While some add or sweeten benefits and salaries, they typically can’t compete with packages offered by larger firms. Thirty-two percent of small businesses had openings they weren’t able to fill in February, the largest share since 2001, according to the National Federation of Independent Business’ monthly survey, which mostly covers companies with fewer than 50 employees. Seventeen percent of firms cited "quality of labor" as their biggest problem, a 10-year high. And 85% of those seeking workers said there were no, or few, qualified applicants. "The big firms skim the better-skilled people," says William Dunkelberg, NFIB’s chief economist. That, he says, can contribute to more modest sales growth as key positions stay vacant longer. The Good, which helps e-commerce companies optimize sales, vies for analysts, strategists and software developers against Salesforce, Airbnb and Ebay. All have opened satellite offices in Portland. In response, The Good has increased starting salaries by 5% to 10% over the past year and plans to offer paid maternity leave this year, MacDonald says. Thornhill and Associates, a Los Angeles-based insurance firm, also trumpets its less tangible worker benefits. But company President Neal Thornhill says his best drawing card is that he lets employees work at home and set their own hours. "We may not have benefit packages as competitive as the larger companies, but we provide a better quality of life," he says. When it comes to finding a new job, there’s a crucial step in the résumé-writing process you may not have heard about to improve your chances of making it past the initial round of screening. 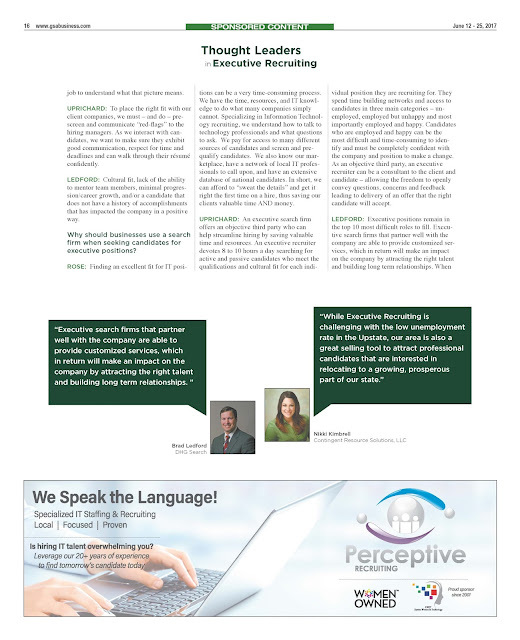 “With … more and more recruitment services transitioning to being solely online, HR departments are using different computer programs to scan through résumés and pull out documents based on the frequency of certain words and acronyms,” says Valerie Streif, senior advisor at Mentat, an organization that hires, manages and mentors prospective job candidates. While you painstakingly perfect your résumé, remember that a hiring manager potentially has to sift through dozens of other résumés and use an applicant tracking system (ATS) to cut through the clutter. Keep these tips in mind when writing your résumé to help you get your foot in the door. Research and identify other keywords to highlight. Don’t be afraid to borrow language from the job description. Examples of keywords you’ll want to integrate include job title, technical skills and academic requirements, according to Pearl. “Evaluate the posting you’re applying to, line by line, and highlight what appear to be the most fundamental terms,” he says. Master the art of sprinkling keywords throughout your résumé. 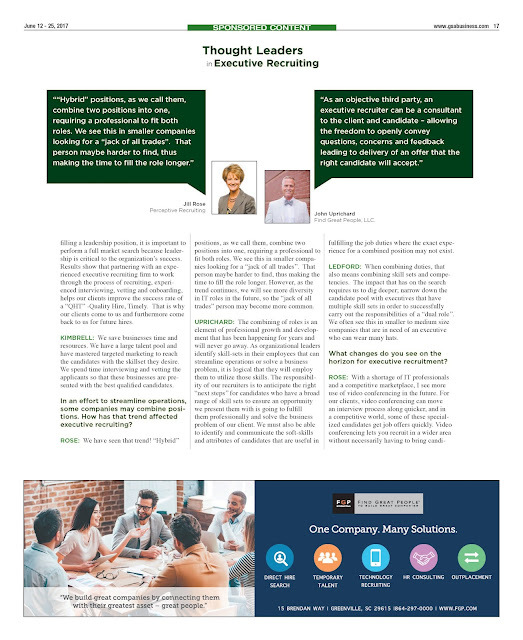 Cheryl E. Palmer, owner of executive career coaching firm Call to Career, recommends including a section at the top titled “Core Competencies” where the keywords could be highlighted prominently. “That way, the keywords are at the top of the résumé and are easily found, [and] you can also judiciously sprinkle keywords in the ‘Professional Experience’ section,” she says. Remember that context is key. “Keywords should also be in context with the content — plugging in a list of skill sets in a bulleted list and not actually relaying how you know the skill, or what you did with it, is useless,” says Dawn D.
Boyer, résumé writer and CEO of D. Boyer Consulting. Deanna Hartley is a writer for the Advice & Resources section on CareerBuilder.com.She researches and writes about job search strategy, career management, hiring trends and workplace issues. Looking to break into a new role? 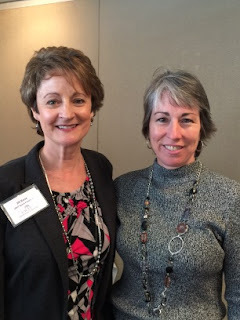 Sarah Sipek of CareerBuilder published an excellent column in last Sunday's Greenville News (check it out). I gleaned several nuggets of wisdom, one of which I thought I'd mention here. "Recruiters are the gatekeepers to many jobs. Karla Jobling, director at London-based recruiting firm Beecher-Madden, recommends reaching out and making a personal connection. "Build relationships with one or two select recruitment companies that specialize in the area you work in," Jobling says. "Take the time to meet with them. They will approach you with suitable roles when they come up. Many of these aren't even advertised, and you don't have to do anything - just wait for the calls to come in."" Our "favorite candidates" are ones who have taken the time to come by our offices, introduced themselves and described their desired career paths. So, come by and see us. We'd love to get to know you. Having "THAT" Conversation...Drama Free Advice! How do you handle conflict or a challenging relationship in the workplace? Dealing with a difficult person’s behavior can really feel like a waste of time and zap your energy. However, conflicts are an inevitable aspect of people working together. When conflict surfaces, you need to know how to identify and deal with it so that it doesn’t drain your energy, infect your whole life, and sabotage your effectiveness at work or in life. In short, you need to know how to have THAT conversation. 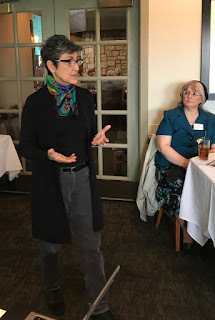 Amy L. Robinson presented her "Learn how to communicate with an accountable and drama free message" to the UWIT group today at City Range restaurant. 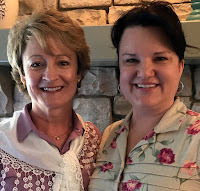 Amy, headquartered in Greenville, is an executive coach and organizational consultant for high performing individuals, teams, and organizations. She is founder of Aspire Higher, women’s leadership development group coaching program for female talent in the workplace. Aspire Higher prepares participants for leadership and career development by accessing each women’s authentic strengths and hone essential leadership skills including negotiating, communicating, creating vision and strategy, and influencing. In addition to individual and group coaching, Amy is a facilitator and keynote speaker on professional development topics. She is passionate about creating gender-partnered leadership cultures within organizations. For more information about Amy and her services, visit www.AmyLRobinson.com. By asking only a few questions an interviewer can get a good idea of whether or not you are suitable for the position. The information you receive from us about the company and the work will help you to understand the background of the position for which you are being considered. Even more important is knowing yourself and being able to present that information to the client, your past achievements and your present strengths. The interviewer wants to understand these areas so he can determine how you will fit into the orginganization. Your manners, social sense, and ability to speak clearly and directly count. In interviewing in person, you should dress appropriately and neatly, and pay attention to grooming. Above all, listen carefully to the interviewer's questions and take your time in answering. Don't feel you have to be talking constantly. From time to time ask questions yourself to clarify the meaning of a question or to show appropriate interest. Here are some basic questions that might be asked of you. The interviewer wants to get a sense not only of what you CAN do, but also what you WILL do. In answering any questions, look for ways to giving a correct but positive impression of yourself. Business Uses for INTERNET PRODUCTS! The UWIT group received a fascinating presentation today at City Range. Robert Neely and Micah Brandenburg of Worthwhile company featured The Internet of Things (also known as IoT), one of the fastest growing spaces in technology today. In their talk, they explained what IoT can mean to your business, and what your business needs to do now to thrive in a connected world.